Below is a comprehensive list of hotels in Alton Pancras. Use the sort links to refine your search or to find featured accommodation in Alton Pancras. Many of our hotels in Alton Pancras feature no booking fees and best price guarantee when booked through the Pictures of England website. To list your hotel in Alton Pancras, click here. 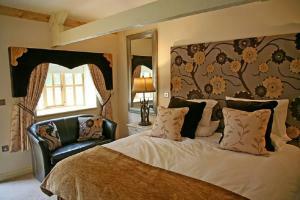 Featuring free WiFi and a restaurant, Brace of Pheasants offers accommodation in Alton Pancras. Guests can enjoy the on-site bar. Free private parking..
Shepherd'S Cottage is a holiday home set in Buckland Newton in the Dorset Region and is 41 km from Bournemouth. The unit is 25 km from Weymouth. An o..
Little Elkins offers pet-friendly accommodation in Alton Pancras. The property is 42 km from Bournemouth and free private parking is featured. 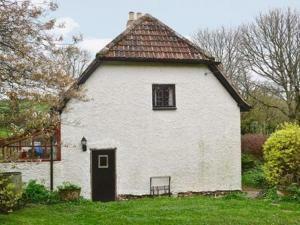 The un..
Huntsman'S Cottage is a holiday home set in Piddletrenthide, 38 km from Bournemouth. The unit is 21 km from Weymouth. Free WiFi is featured throughout..
Chase Cottage is a holiday home situated in Piddletrenthide in the Dorset Region and is 38 km from Bournemouth. The unit is 21 km from Weymouth. Free .. 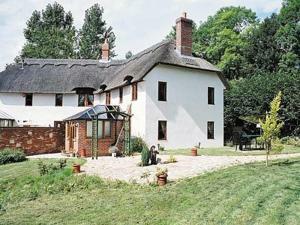 The Stables is a holiday home situated in Piddletrenthide in the Dorset Region and is 38 km from Bournemouth. It provides free private parking. Free W..
Fox Cottage is a holiday home with an indoor pool, situated in Piddletrenthide. The property is 38 km from Bournemouth and free private parking is off.. The Masters House is a holiday home situated in Piddletrenthide in the Dorset Region and is 38 km from Bournemouth. The property is 21 km from Weymout.. Located 38 km from Bournemouth, Hound Cottage offers pet-friendly accommodation in Piddletrenthide. The unit is 21 km from Weymouth. Free WiFi is prov..
Groom Cottage is a holiday home located in Piddletrenthide in the Dorset Region and is 38 km from Bournemouth. It provides free private parking. Free .. Situated in Piddletrenthide, this holiday home is set 39 km from Bournemouth. The unit is 20 km from Weymouth. An oven and a toaster can be found in .. 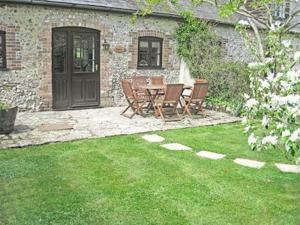 The Stables is a holiday home set in Alton Pancras in the Dorset Region and is 38 km from Bournemouth. The property is 49 km from Salisbury and free p..
Armswell House is a holiday home with a hot tub, situated in Ansty. The unit is 38 km from Bournemouth. 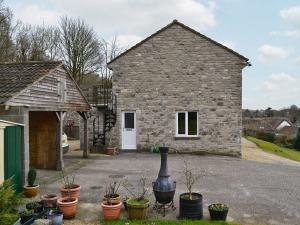 The unit equipped with a kitchen with an oven..
Eden Cottage is a holiday home with a garden, situated in Cerne Abbas. The property boasts views of the garden and is 43 km from Bournemouth. Free WiF..
Cerne Abbey Cottage is a holiday home situated in Cerne Abbas in the Dorset Region and is 44 km from Bournemouth. It provides free private parking. T.. Featuring a garden, 1 Riverside Close is a holiday home located in Cerne Abbas in the Dorset Region. The property boasts views of the garden and is 44..
Set in Melcombe Bingham in the county of Dorset, 11 miles from Dorchester, Higher Melcombe Manor features a sun terrace and views of the garden. Free .. Located in Piddlehinton in the Dorset Region, this holiday home is 37 km from Bournemouth. The property is 19 km from Weymouth and boasts views of the..
Woodlanders is a holiday home set in Buckland Newton, 45 km from Bournemouth. The unit is 28 km from Weymouth. Free WiFi is provided throughout the pr..
Casterbridge is a holiday home located in Buckland Newton, 45 km from Bournemouth. The unit is 28 km from Weymouth. Free WiFi is featured throughout t..